These days with Underwriting guidelines having become as tight as many of us can remember for years. . . finding those programs and products with even the slightest advantages can mean the difference between qualifying for a home or not. And if not that extreme, then at least it can mean the difference between qualifying for the home of your dreams or just one you “settle for”. Usually, whether you apply for a home loan at your bank, a Mortgage company recommended by your Realtor® or even Credit Union, the inhouse Underwriter underwrites the loan to Fannie Mae’s Conventional set of rules. Fannie Mae dominates the Conventional loan market (loans with 5% Downpayment and leaner PMI than FHA). Enter a breath of fresh air . .. Mortgage Brokers who can get a deal underwritten to Freddie Mac’s set of rules often find they hold a lifeline for homebuyers. (1) Freddie Mac’s automated underwriting engine (“LP”) often approves files with FICO scores below 620 when Fannie Mae’s engine (“DU”) kicks it out. This is because the risk algorithms behind “LP” seem to be more sensitive to other positive features of a credit profile, thus overcoming the FICO Score obstacle. (2) Its common for Homebuyers to pay off credit cards to qualify for “more home”. When a Conventional loan is underwritten to Fannie Mae’s standards, the Underwriter will force you not only to pay those all down to zero, but to CLOSE the account. This can pose some serious side-effects. Closing accounts lowers the overall average length of all accounts, thus often causing the FICO score to drop. Not to mention, snatching away a creditworthy Buyer’s ability to tap into immediate funds in emergency situations, is not a great idea. (3) Homebuyers who are progressing in their careers and project higher income over the next few years, often need and want to buy a home not based on their present income scale but what they foresee in the future. So adding a Cosignor often makes sense. Fannie Mae’s rules however don’t allow for the incomes (and debts) of the occupant Buyer and non-occupant Co-Borrower to be blended (FHA does). This sort of defeats the purpose of adding a Co-signor to begin with doesn’t it? 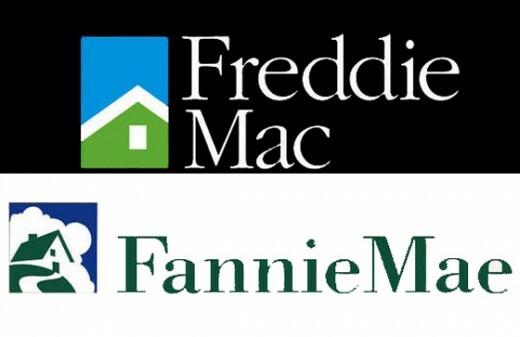 Freddie Mac allows the blending of those incomes just like FHA, making it possible for some Buyers to qualify for more. (4) Credit reports of homebuyers often have outdated or incorrect information. And buyers often dispute these credit tradelines. And the presence of Disputed accounts on your credit report can derail your loan approval process or worse. How ? When Disputed Accounts are present, Fannie Mae’s automated underwriting engine (“DU”) will require that the Underwriter verify the accuracy of the disputes. And if the disputed accounts do belong to the homebuyer and the reason for the dispute cannot be justified, the Dispute will need to be removed, a new credit report re-run and new automated Underwriting feedback obtained. Often that’s a deal-killer since FICO scores can plummet when disputes are removed. Here’s some relief: If your loan file receives an “Approve/Accept” feedback from Freddie Mac’s automated Underwriting engine (LP) no further credit review is needed with regard to the Disputed accounts since the algorithm has already taken into consideration the disputes. This can avoid potential havoc caused by having to remove disputes and re-pull a new credit report. (5) Underwriting guidelines typically require and look for 3 FICO Scores (pulled from each of the 3 major credit bureaus XPN, EFX and TU when issuing a decision. Freddie Mac’s automated underwriting system (“LP”) will issue a Loan Approval even if the homebuyer has just one FICO score. LP considers that the Indicator Score. A homebuyer’s credit file might be missing two of the typically required 3 scores because there hasn’t been enough recent activity , or because one or more creditors are only reporting payment history to one of the three credit bureaus.